← All I Want for Christmas is…. Paris! 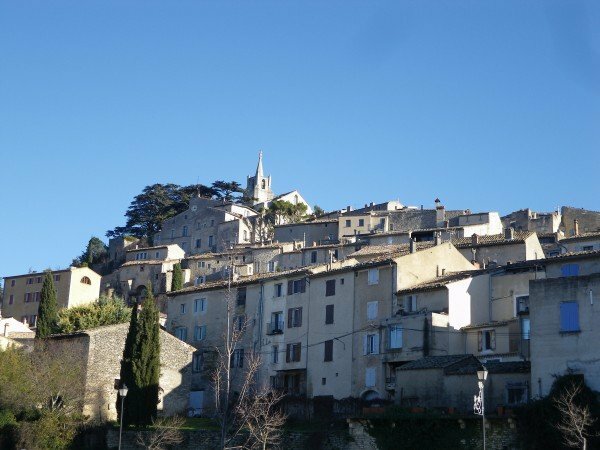 We’re back in our much-loved village of Bonnieux to spend fifteen days before returning home to the USA for Christmas with our families. 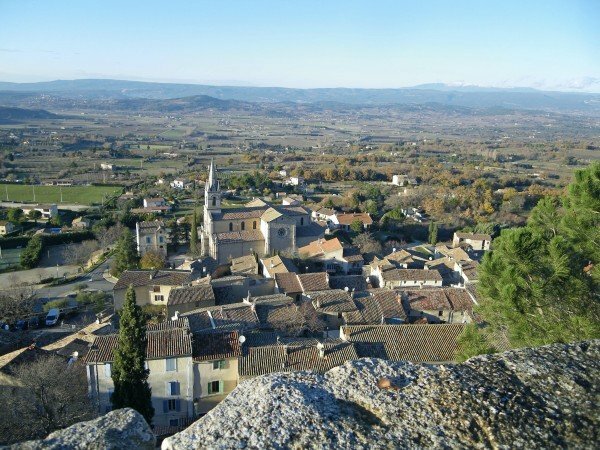 This is our third December in Provence and certainly not our last. Christmas is simpler here in the countryside, less commercialized. It’s a time for family, friends, food, and traditions. 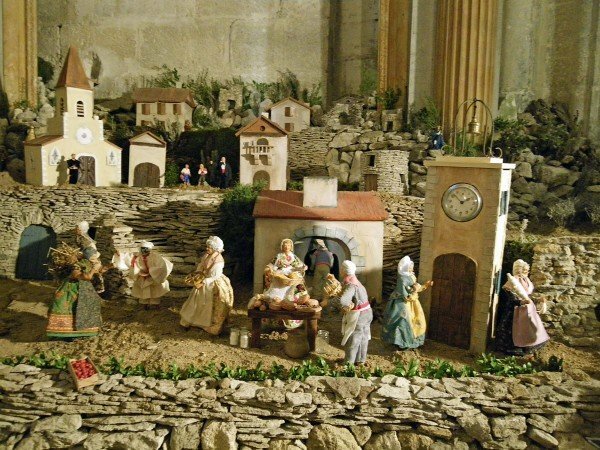 “Santons” are an important Christmas tradition in Provence. The word “santon” means “little saints.” Santons are handmade clay figurines used in a nativity scene or crèche. 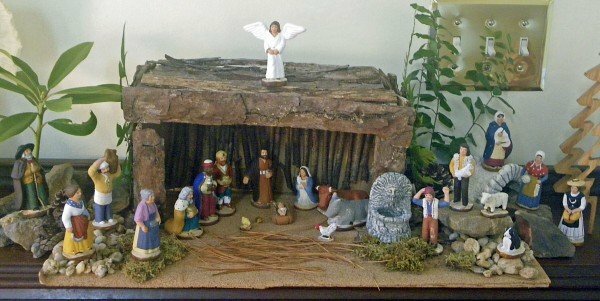 Churches set up a large crèche, but families also have their own small crèche at home. Some of the santons are the traditional people and animals in the nativity story: the baby Jesus in the manger, Mary, Joseph, angels, shepherds, the three kings, camels, a donkey. 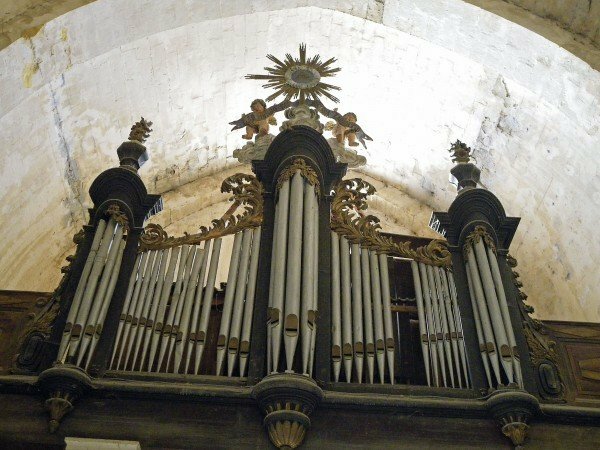 But over the years the Provençal artisans have expanded the traditional figurines to include a whole series of Provençal villagers, all dressed in the bright native costumes: the mayor, the priest, a baker, a fisherman, musicians… even the poet Frédéric Mistral. 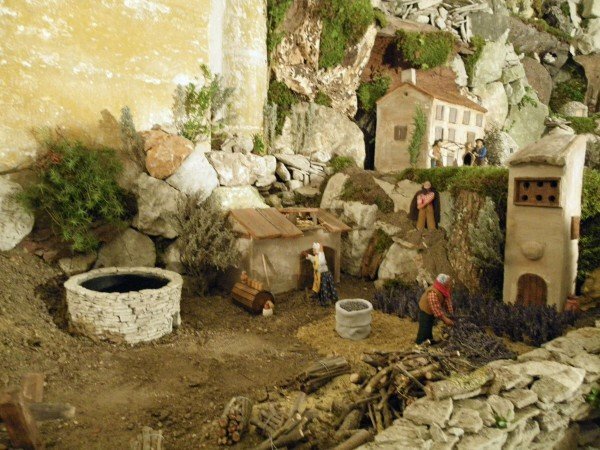 There are about 100 “santonniers” in Provence, skilled craftsmen who each design and produce their own unique line of santons. The santons come in various sizes… most with handpainted features and clothes. The larger and more expensive santons are handpainted and then dressed in real clothes made of bright Provençal fabrics. Santons are sold in some shops all through the year, but there’s a big emphasis at Christmas and many towns have a special santon fair. Families select a santonnier and build their collection over time, adding a few each year, and passing them onto the next generation. 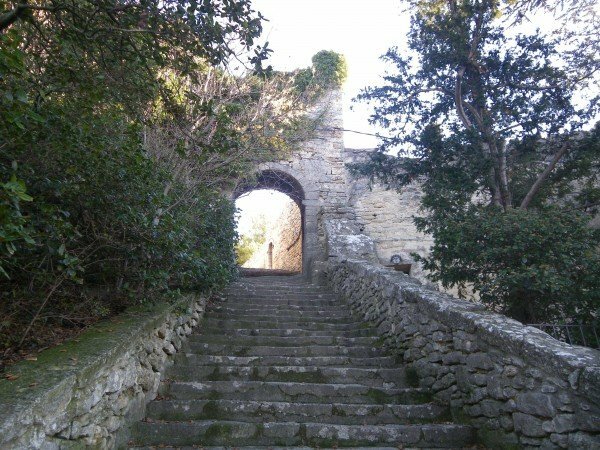 Most crèches are made with objects found in nature… rocks, leaves, small branches, moss. 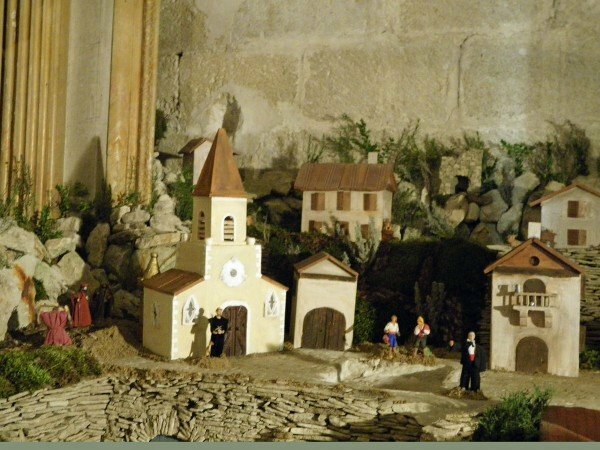 Our village of Bonnieux has a very elaborate crèche in the old church at the top of the village. Part of the church dates back to the 12th century, and today it’s used only for special events. 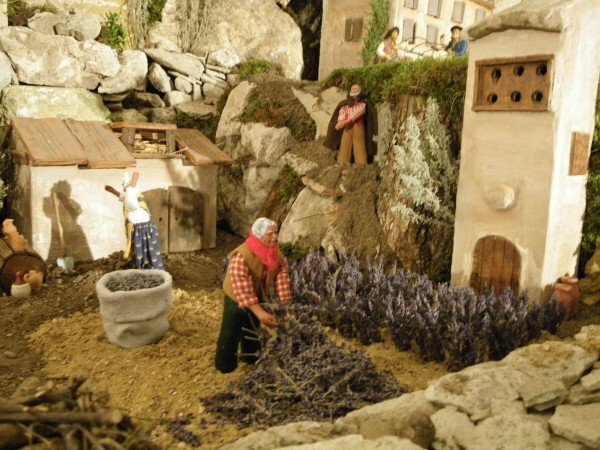 A man in the village constructs the crèche over nine days, including figurines of various sizes in a traditional Provençal landscape. 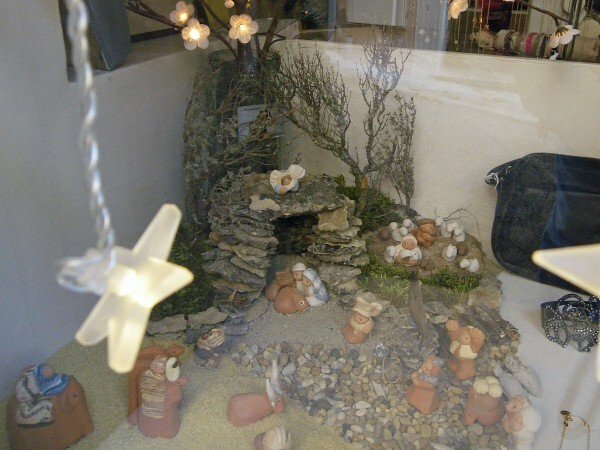 He has been working on the crèche for 18 years, since he was a teenager! 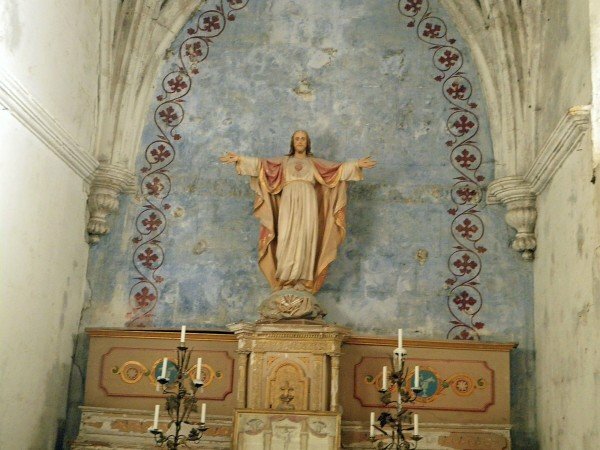 The scene is supposed to represent Provençal life in the 19th century, and he uses natural stone and vegetation. There is a working windmill and a running stream. The church is open now on weekends for visits to the crèche and during the upcoming holidays it will be open every day. The village also organizes a Festival de Crèches, now in its fifth year. 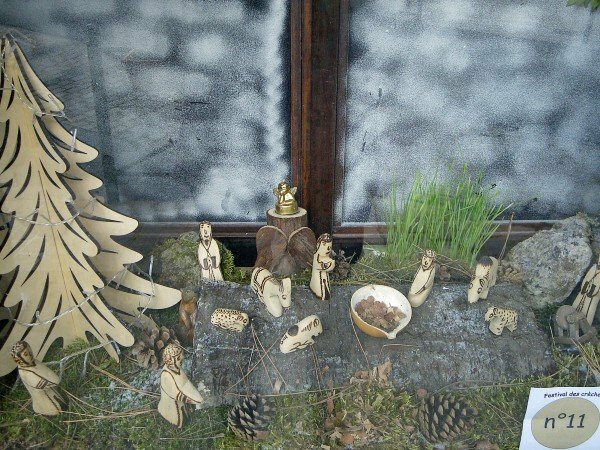 This year 23 residents and businesses have displayed crèches in their windows or by their doors, many of which are illuminated at night. We were blessed last Sunday with spectacular December weather, very clear and mild. It was a beautiful afternoon to stroll around Bonnieux and climb up to Bonnieux’s Vieille Eglise (old church) to see the Christmas crèche. 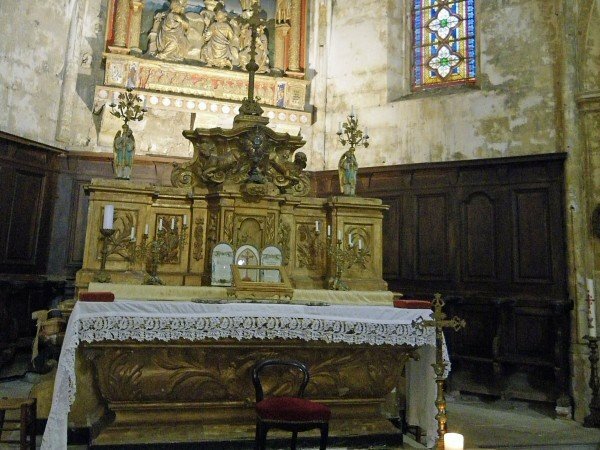 Enjoy this lovely day and visit the old church and the crèches with us! 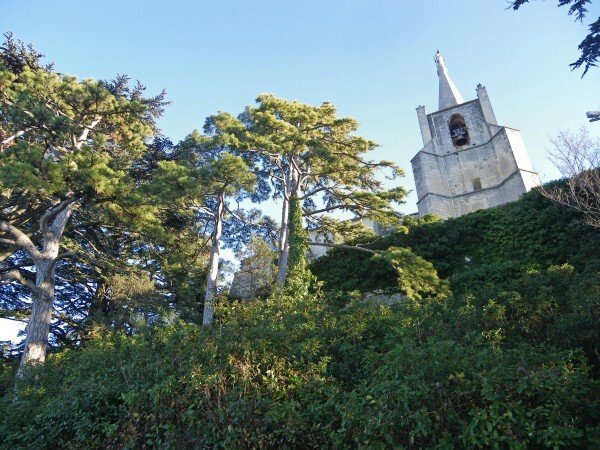 The old church, surrounded by pine and cedar trees. Our last photo was actually taken in the USA… at our home in Tennessee. We bought our first santons when we lived in Provence in 2004-2005 and celebrated Christmas here. We’ve since added to our collection and try to use the traditional approach of building a scene using items from nature. 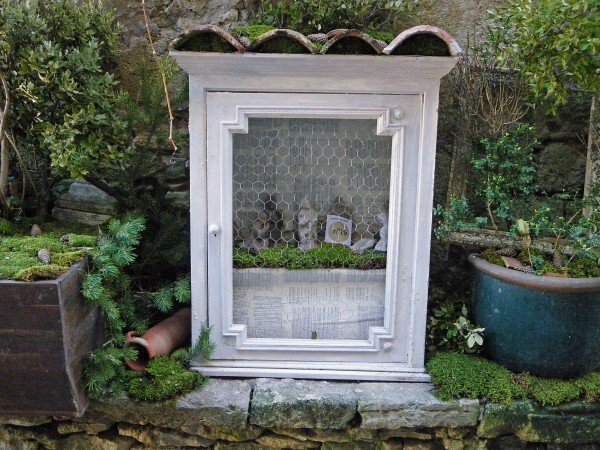 We love including this special traditions of Provence in our Christmas celebration. This is our last blog post of 2012. From beautiful Provence, Charley, Kelly and I wish all of you a very happy holiday season. Joyeux Noël et Bonne Année! !